JoAnn Darlene Gill Curlott, 90, of East Moline passed away Sunday, November 26, 2017 at her home. Per her wishes she will be cremated and there will be no services. Quad Cities Cremation Center is assisting the family with arrangements. Memorials may be made to the American Lung Association. JoAnn was born Aug. 22, 1927 in Kewanee, IL the daughter of William and Carrie Barr Gill. She married George William Curlott Jr. April 9, 1948 in Galesburg, IL. 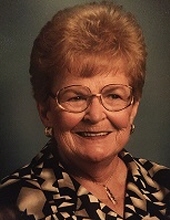 JoAnn retired from John Deere and enjoyed golfing and was involved in DeMolay with her son. Survivors include her daughters Patricia Curlott and Janis (Roland “Junior”) Green; son David (Lynn) Curlott; grandchildren Adam (Kristin) Curlott, Brian (Maria) Curlott, Jeffrey Curlott, Nathaniel Curlott, Anthony Curlott, Jamie Gaylord, Erin (Jose) Gaylord Vargas, Matthew Van Blair and Andrew Van Blair; great grandchildren Addison, Payton, Hadley, Keegan, and Wilder Curlott, Maya, Eva and Nico Vargas, Mason, Evan and Jemma Van Blair. JoAnn was preceded in death by her parents, brother Robert Wesley Gill and daughter Cari Van Blair Gill. To plant a tree in memory of JoAnn Darlene Gill Curlott, please visit our Tribute Store. "Email Address" would like to share the life celebration of JoAnn Darlene Gill Curlott. Click on the "link" to go to share a favorite memory or leave a condolence message for the family.